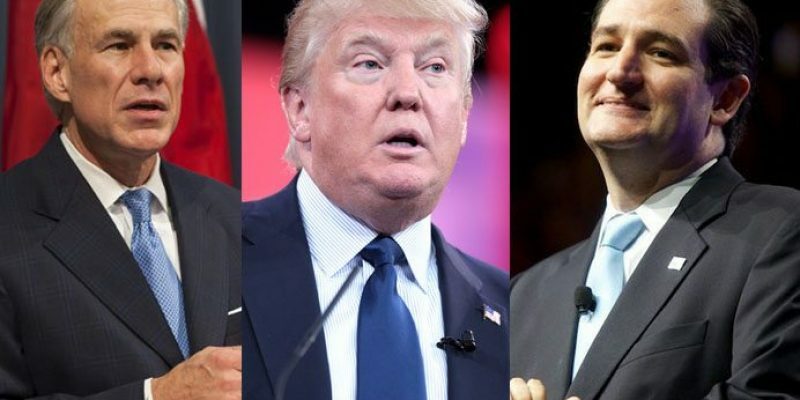 A new poll from Quinnipiac shows increased support in Texas for incumbent Republicans President Trump, Governor Abbott and Senator Cruz. The poll shows an impressive unity among Republicans who support Abbott and Cruz almost as uniformly as Texas Democrats oppose President Trump. With a 52% approval rating, Senator Ted Cruz more than tripled his support over Democrat Beto O’Rourke since last month’s poll. His previous 3-point lead that caused some to label the race a “toss-up” has grown into an 11-point lead at 50-39. Notably, Cruz took O’Rourke’s lead in support among women. Analysts point out a decrease in support among Independents for the San Antonio Democrat. 50% of respondents said they “haven’t heard enough” to approve or disapprove of O’Rourke. John Cornyn has a 40% approval rating with a 30% disapproval rating. The Senate Majority Whip and former Texas Attorney General is not up for re-election until 2020. Greg Abbott doubled his support among Texans, increasing his 9-point lead over Democrat Lupe Valdez since April to 18% at 53-34. The poll showed that 60% of Texans approve of the job Greg Abbott is doing as Governor. His opponent, a former Dallas County Sheriff holds a considerable lead among black voters but only a 4-point lead among Hispanics. Notably, Governor Abbott receives 30% approval from Democrat respondents and 54% from Independents, a cause for concern for the Democrat Party. 53% of respondents said they “haven’t heard enough” to approve or disapprove of Valdez. President Trump also improved his standing in the Lone Star State, turning a 9-point deficit into an even 47-47 split. Independents lean against Trump 54-40 while Republicans approve 88-7 and Democrats disapprove 92-3. Trump’s support increases with each age group. Economy, healthcare and immigration tied for the most important issue at 23%. Based on these numbers, the “blue wave” seems to be slipping away for once hopeful Texas Democrats.